Today the Maternal Mental Health Alliance (MMHA), launched their updated Everyone’s Business Campaign Maps. The maps were originally produced in 2014 to show which areas of the UK have access to Specialist Perinatal Mental Health Services and Support. I’ve have been campaigning, for the last 3 years, using these maps, as they explain that in Northern Ireland 80% do not have access to to the services and support they need and deserve. 80%! To be honest, I’m feeling a mix of emotions today. On one hand, it’s very encouraging to see the changes in England and Wales (demonstrated on the maps, link below) which show significant improvement and targeted investment for specialist services, in each areas. This is fantastic news for mums and families, in these areas, and I’m celebrating with them. What good news! We hope for more to come! But on the other hand, the map for Northern Ireland remains unchanged. This is hugely significant. In reality, this means that 80% of N.I. STILL does not have access to specialist perinatal mental health services and there is STILL no Mother and Baby Unit (MBU). This must change. 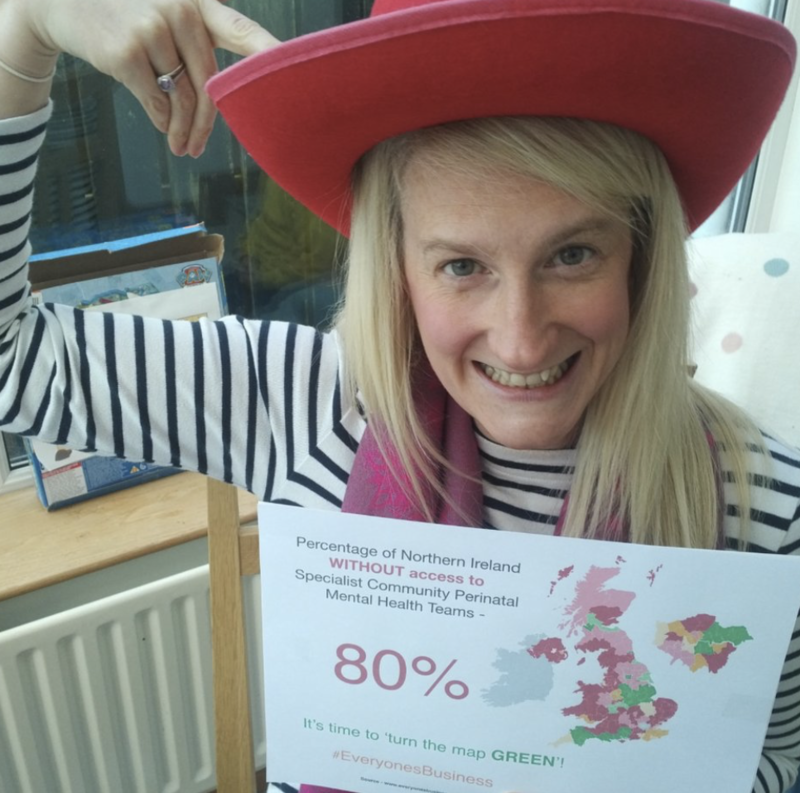 Specialist community perinatal mental health services are vital for the health of our mums and families in Northern Ireland, timely access to services can make all the difference. These must be made available – lives depend on them. Of course, we know that fantastic work is happening, across NI, especially within community, voluntary and peer led groups and we should be very thankful for that. In fact, without this amazing work, mums would often have nowhere to turn. These services are more hugely important and they often don’t get the credit they deserve. And of course, we have many committed and highly trained Health Care Professionals, who work with women and families every day, and make a huge difference. We should also be thankful for all of these people. But we all know that none of this can make up for the lack of specialist services. Have you seen that girl? is also an active member of the MMHA and supporter of their Everyone’s Business Campaign. For the last 9 months, I’ve been working with the Public Health Agency (PHA) on the implementation of the RQIA recommendations for Perinatal Mental Health. Have you seen that girl? part of the leadership team of the NI Maternal Mental Health Conference, taking place next month. 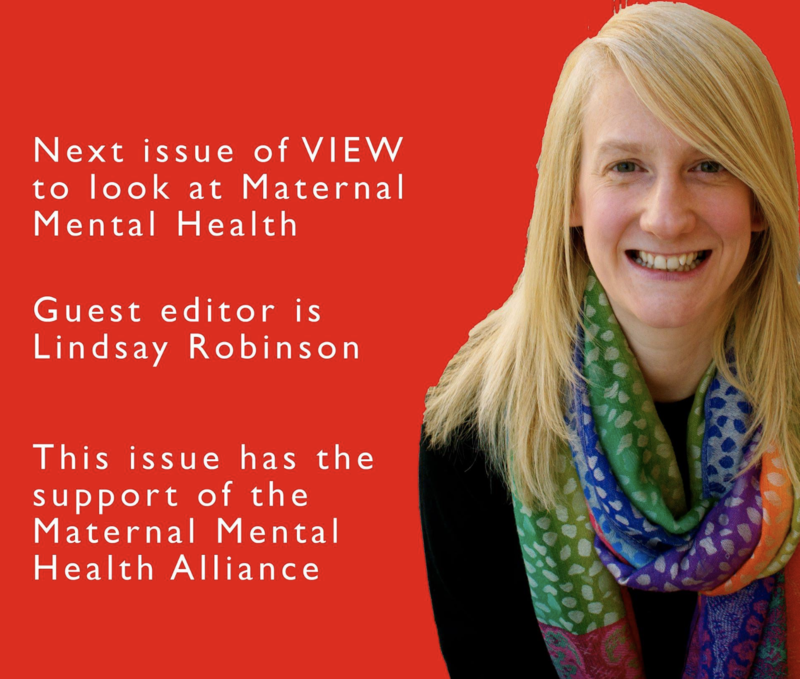 And I’m delighted to be the Guest Editor for the next edition of View Digital which is focusing solely on Maternal Mental Health and the immediate need for specialist services – that’s another great tool to add to our campaign! There are so many fantastic people working hard, planning and campaigning. But, honestly, all of this can only take us so far. We need investment and funding to be to be urgently released in Northern Ireland, to ensure women, infants, families and communities get the support they need and deserve. So, while I’m feeling many different emotions today, I’m going to allow them settle and then allow them to fire me further, to keep pushing for change!